Demi has been a successful Optimist and 420 sailor and a member of the Dutch National teams for years. As an optimist sailor he has competed in several World and European championships with Pim as his coach. He also is a very experienced team racing coming 5th at the 2011 Optimist Teamracing World Championships in New Zealand and also finishing 5th at the 2012 Optimist Teamracing European Championships in Italy. Now he is focussing his efforts on coaching and has found a passion for making young sailors better. As a sailor Demi was coached by Pim and now they work together again as colleagues, because they are used to working together their coaching styles are very similar as well! 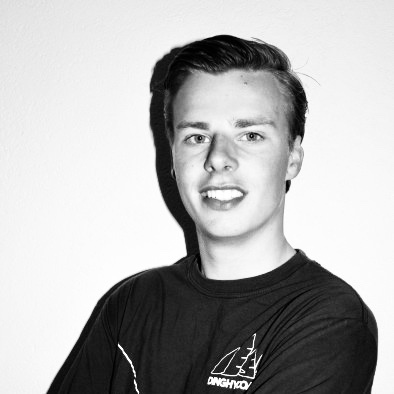 With 19 years old, he is the youngest and one of the most talented coaches in DinghyCoach and also in the Dutch National Optimist coaching team. His experience as a high level Optimist sailor going to several Worlds and European Championships makes him succesful in his hands-on coaching approach.